The Red Noland Automotive Group in Colorado Springs is looking to hire Experienced Automotive Parts Assistant for our high volume Collision Center. 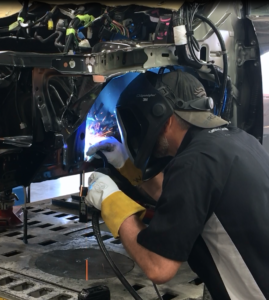 We are a fast-growing Automotive Group with over 44 years in the automotive collision repair industry and need a Parts Assistant to complement our team of Collision Center All-Stars. We have a very competitive pay plans with paid training to continue to build our all-star team and we promote on performance, not tenure. Red Noland Collision Center is seeking a dependable, hardworking individual to assist the Parts Manager. Previous background in a body shop or general familiarity with cars and car parts is preferred. Qualified applicants will be computer savvy and comfortable learning new computer applications, have good interpersonal skills to communicate well between the Parts Manager and the technicians, advisors and office, be a team player, organized and flexible.